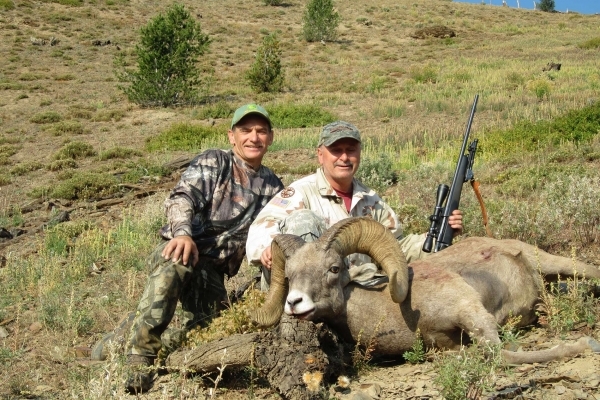 April is the month to apply for Rocky Mountain Bighorn Sheep and Mountain Goat. 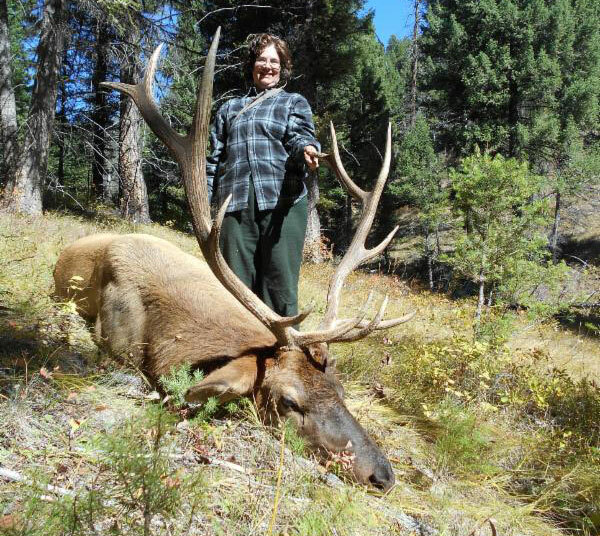 Idaho Fish and Game will no longer accept mail in applications. 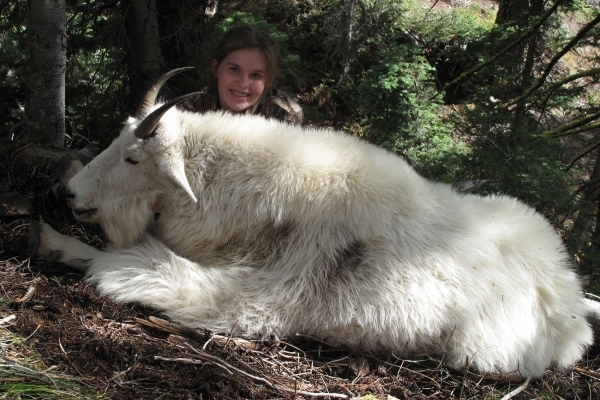 We are happy to apply our clients for these trophy species. 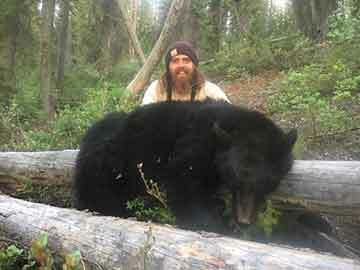 We have room for 2 bear hunters in early June. 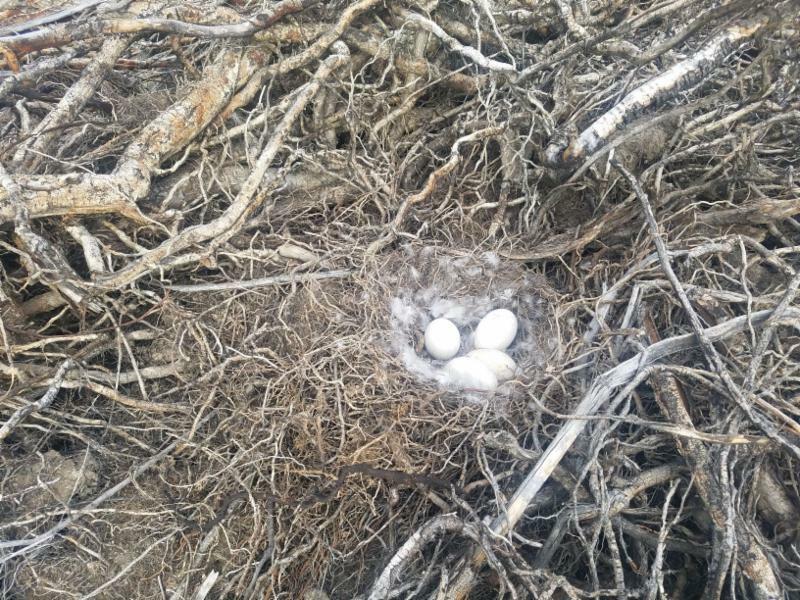 The geese have been nesting and the turkeys are gobbling. 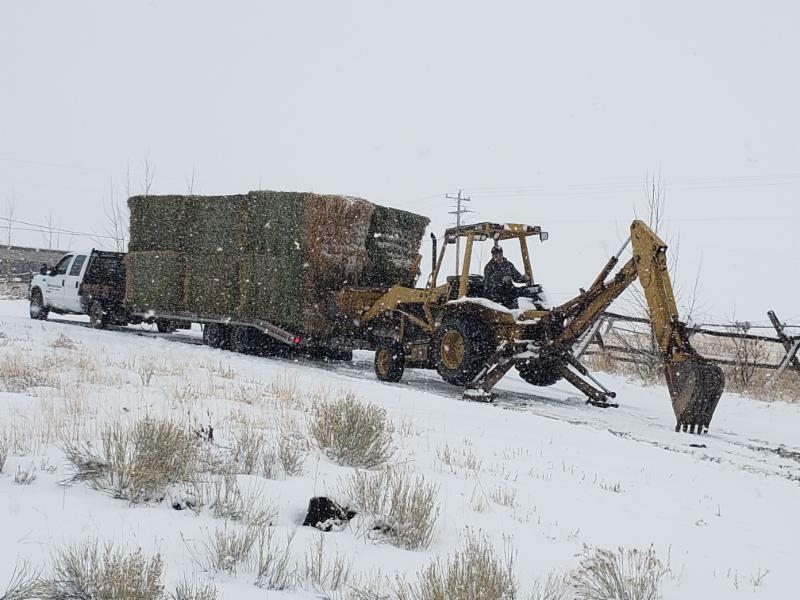 Spring has officially arrived in Idaho! 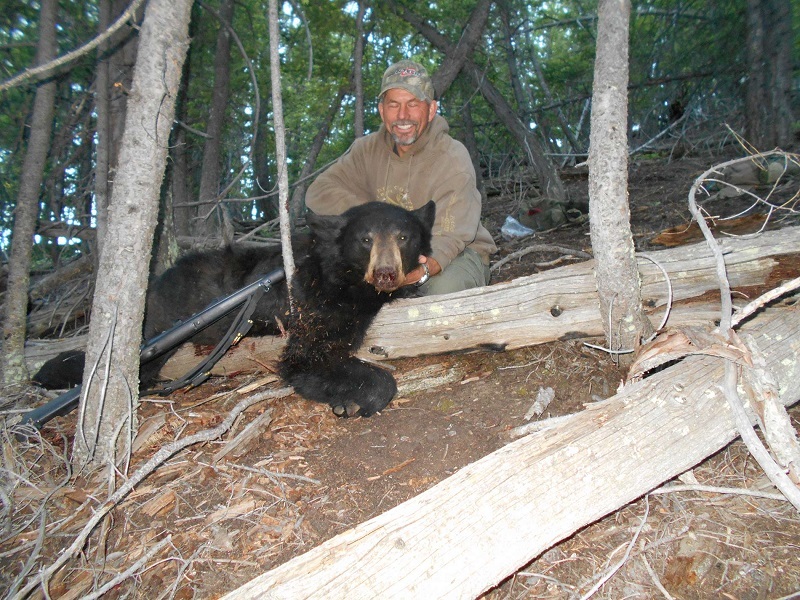 We have room for 2 people on a spring bear hunt in early June. 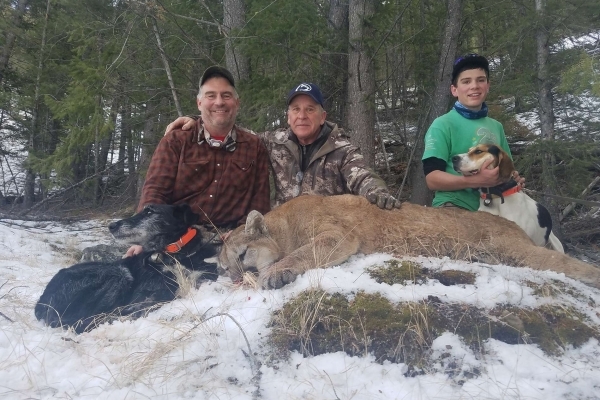 We killed 4 lions for 4 hunters. 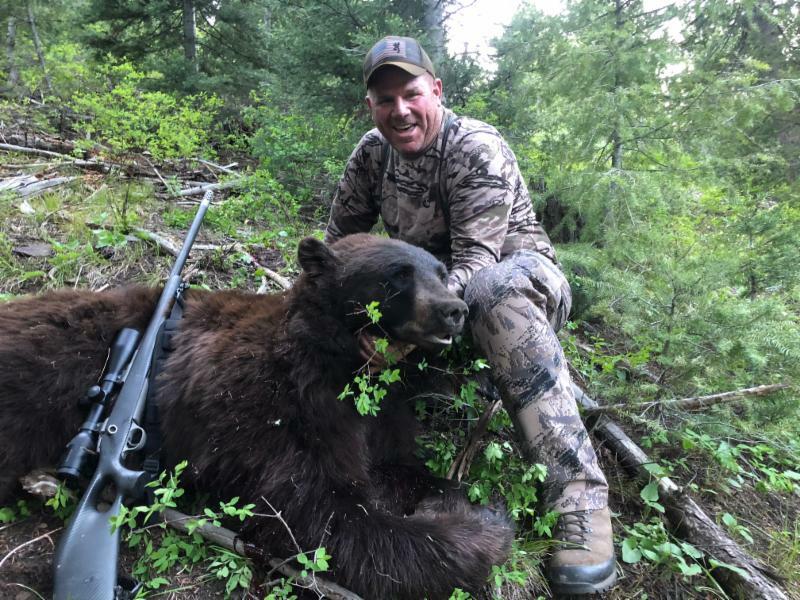 The last hunter shot his lion and it jumped over a cliff. We searched hard but could never find it. Talk about lousy luck. 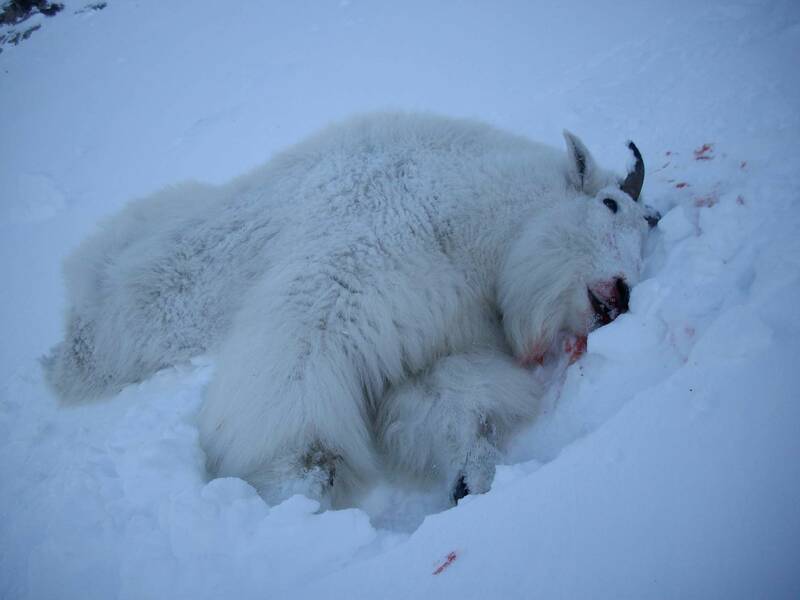 The winter is mostly over, snow packs are finally coming up to 100% but the game has had a very mild winter so far. 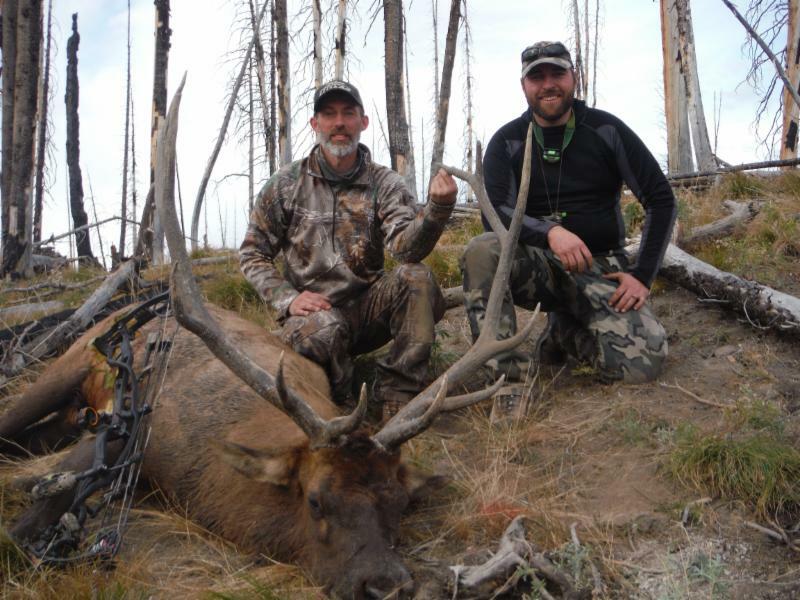 Both rifle and archery hunters have had multiple opportunities in September. 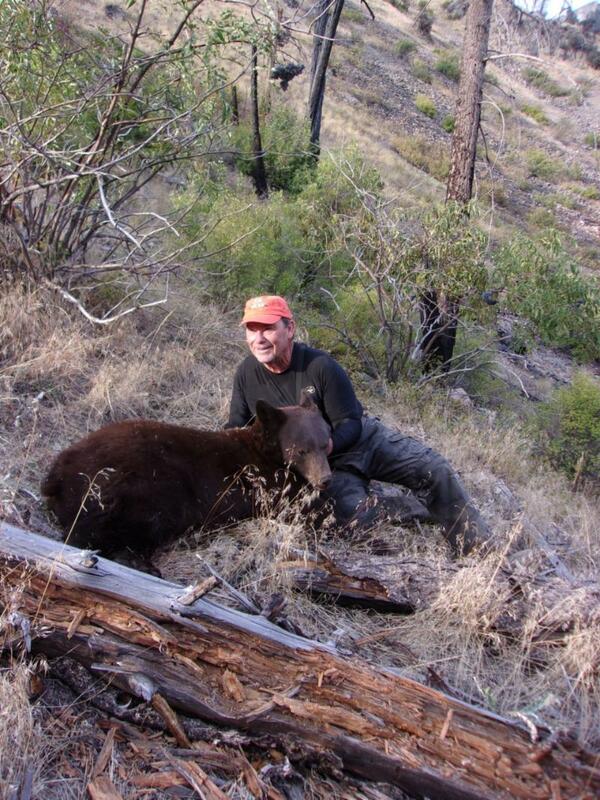 Our, Cast and Blast hunters harvested 3 bears for 3 hunters. 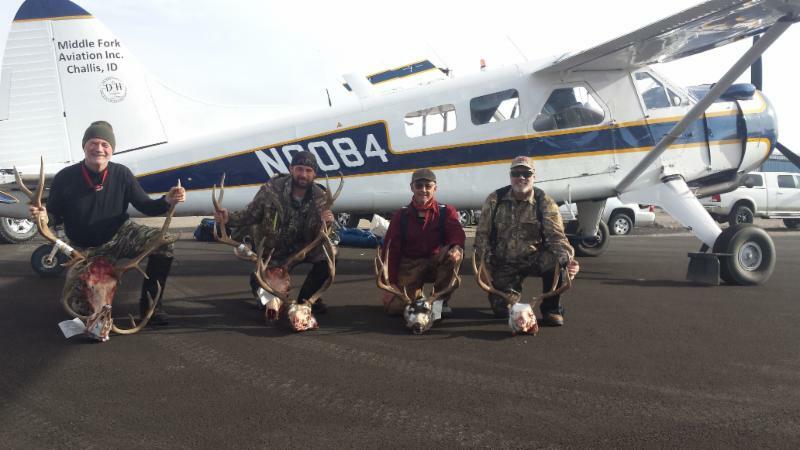 They enjoyed catching fish and harvesting grouse. If everyone would write a review on Google or Facebook, we would appreciate it very much. Just follow the links below. Results are out. 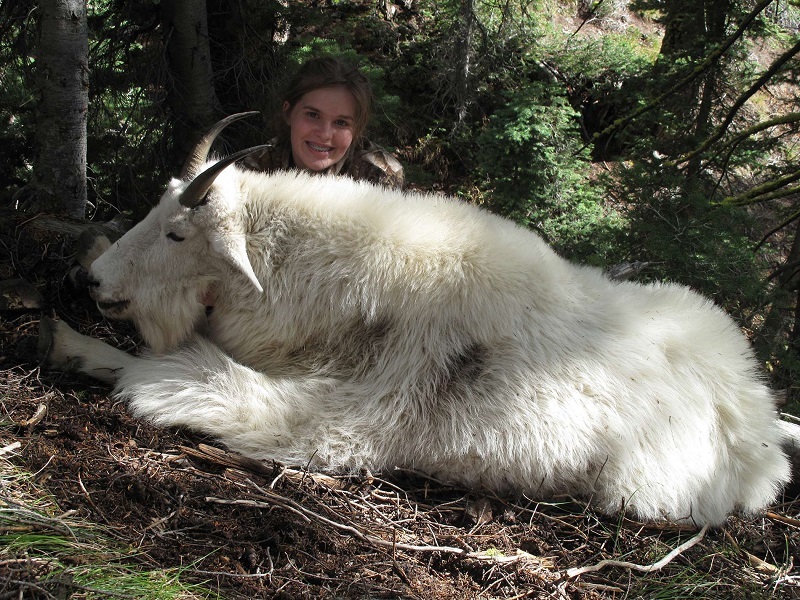 We have one sheep hunter and two goat hunters. We are excited! 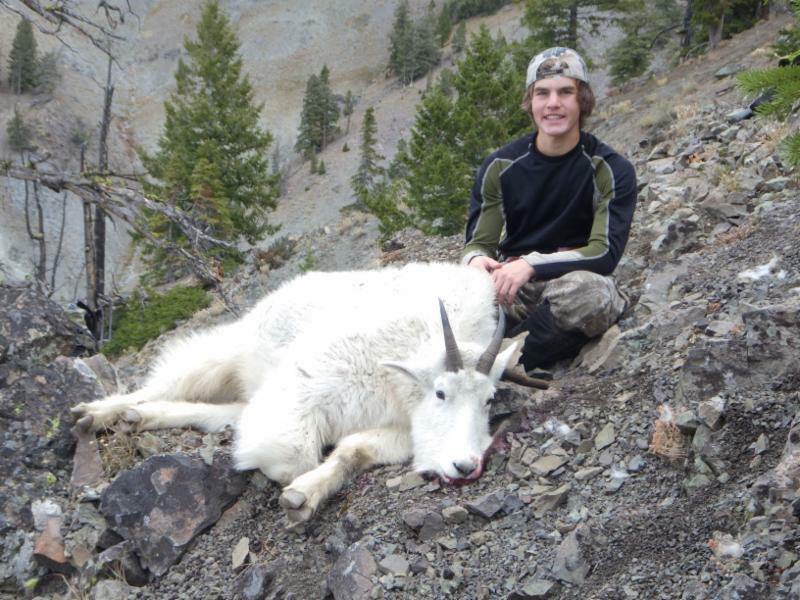 It is time to apply for Idaho’s trophy species! 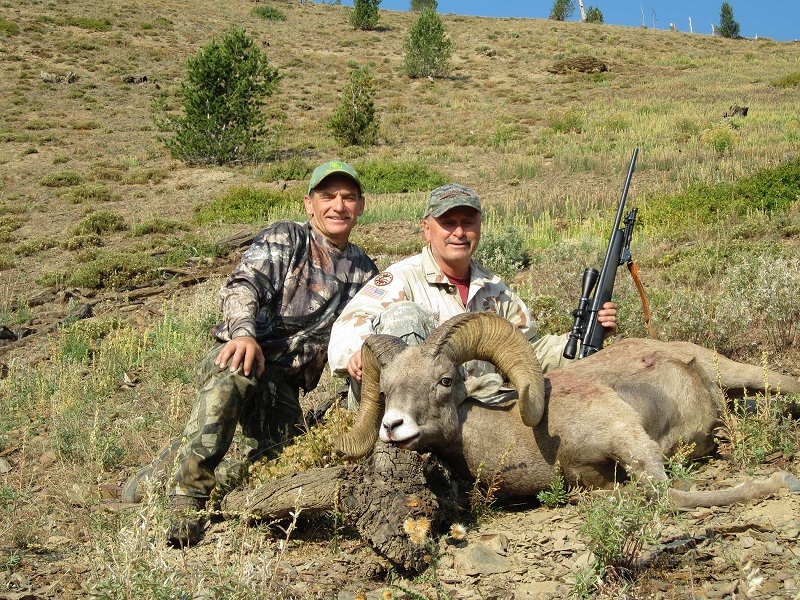 April is the month to apply for the Bighorn Sheep and Mountain Goat lottery. 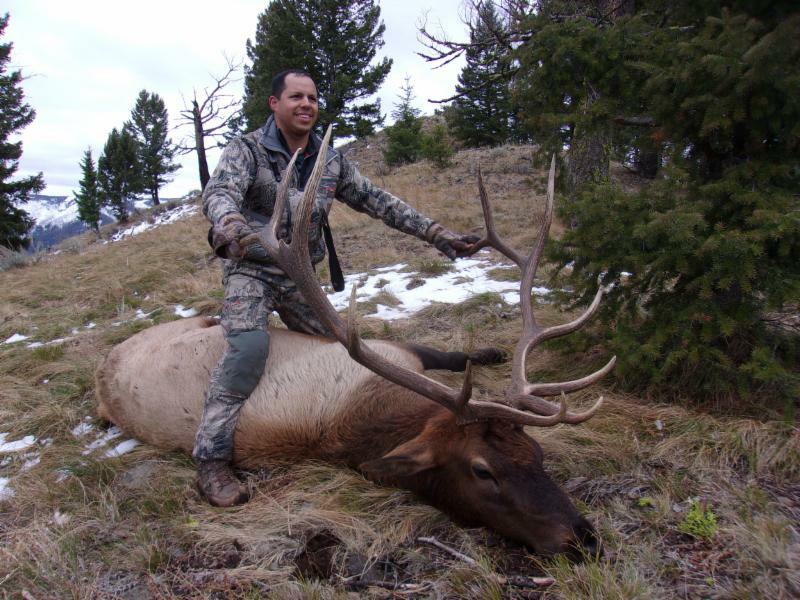 We are happy to help our clients apply for our hunt areas in Idaho. 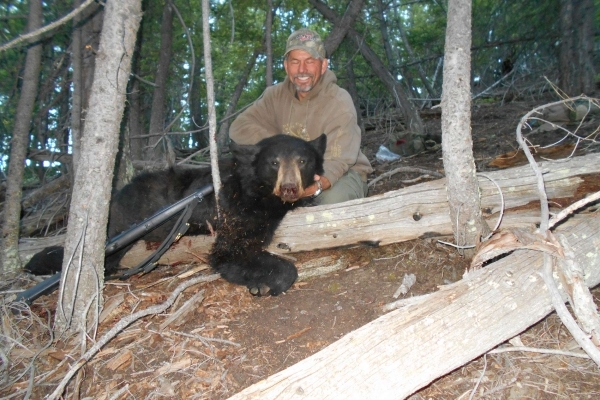 We still have room for two more bear hunters in June. I was the recipient of a hip replacement 6 weeks ago. I am doing great but have determined I am mortal. 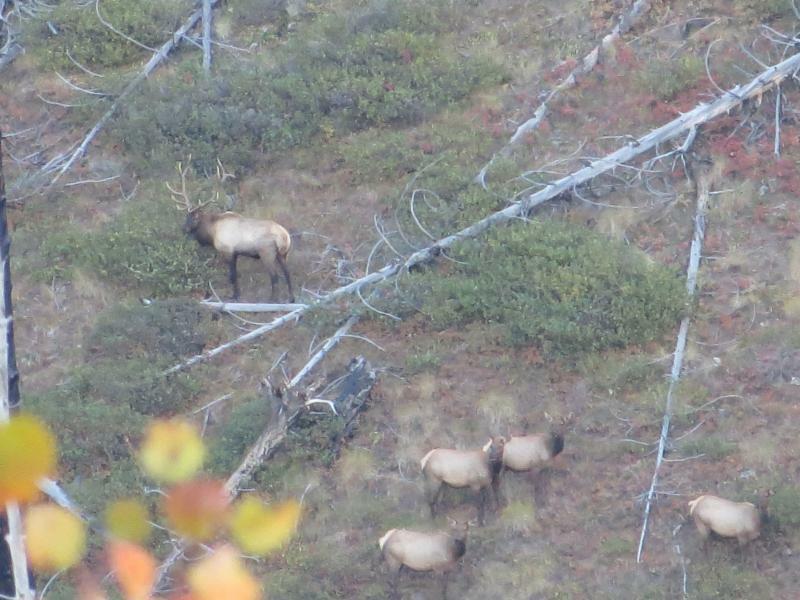 Seems yesterday dad took me on my first elk hunt. That was 42 years ago. God does not wait for bucket lists. Whatever your dreams, do them now! 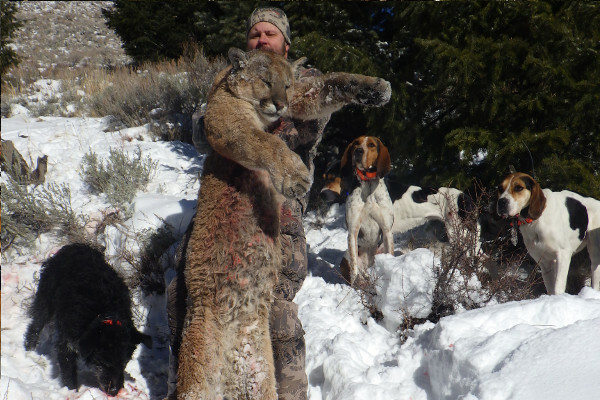 Mountain Lion season is coming to a close and both hunters took nice cats. 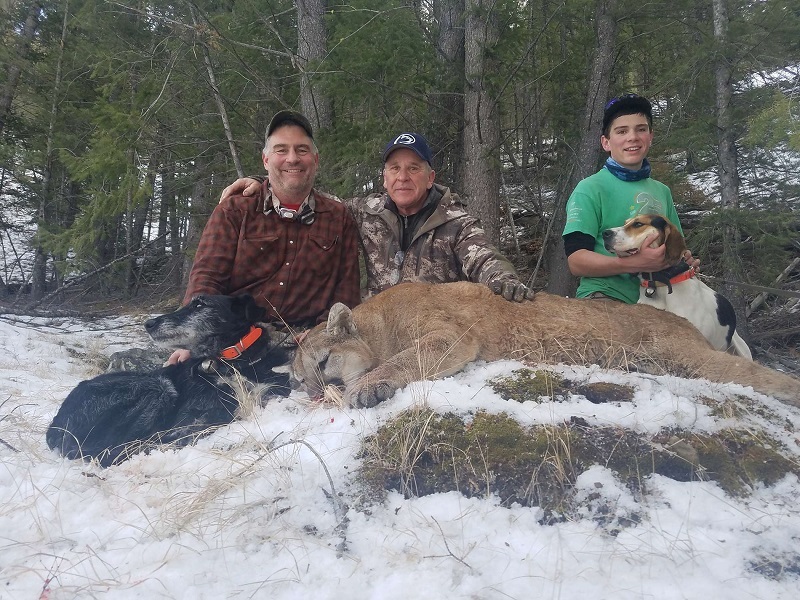 Charlie treed several more lions while training our hounds.